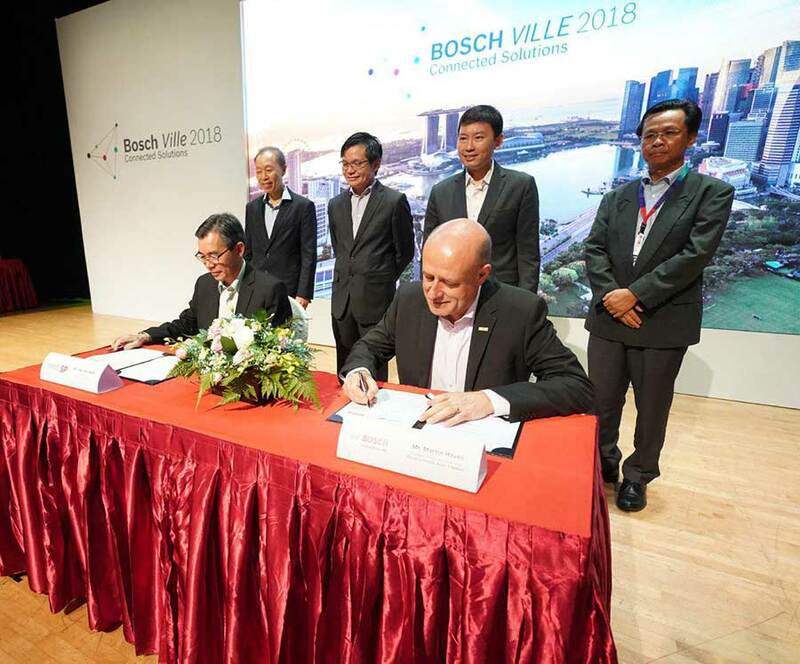 Bosch, a leading global supplier of technology and services, announced today (July 4) the signing of a Memorandum of Understanding (MoU) with Singapore Polytechnic (SP), to be a part of the tertiary education institution’s Advanced Manufacturing Partners Network. Bosch will partner SP to develop the first SP-Bosch Smart Connected Solutions Lab and SP-Bosch Rexroth i4.0 Innovation Lab on the polytechnic’s campus. The $800,000 labs, with a combined area of almost 260 square metres, will be equipped with high-tech Bosch equipment and technologies. One such equipment is the unique scaled-down version of an actual Smart Factory system that reflects the future of production and distribution in the manufacturing companies. Students will learn to programme and integrate smart sensors with augmented reality into the Smart Factory System. They will also analyse and tap on big data to further optimise the manufacturing processes such as production and storage that are being used in the industry today. This marks a new practical approach to training students in advanced manufacturing. Another innovation in the SP-Bosch labs is the Phantom Energy Monitoring System, which measures and tracks the energy consumption of electrical devices using Bosch’s proprietary sensors and data analytics platform. The system can help manufacturers reduce cost and improve productivity by allowing them to monitor and optimise energy consumption patterns. As part of the collaboration, Bosch and SP will launch initiatives relating to Advanced Manufacturing and Smart Cities, including industry projects. On the adult learning front, both organisations will also jointly develop short courses or advanced diplomas for industry professionals to enhance their understanding of advanced manufacturing technologies and processes using the new facilities in the two labs. Currently, about 400 industry professionals have been trained in Digital Technologies for Smart City and Digital Transformation. By March 2019, an estimated 1,000 industry professionals will be trained in advanced Manufacturing. 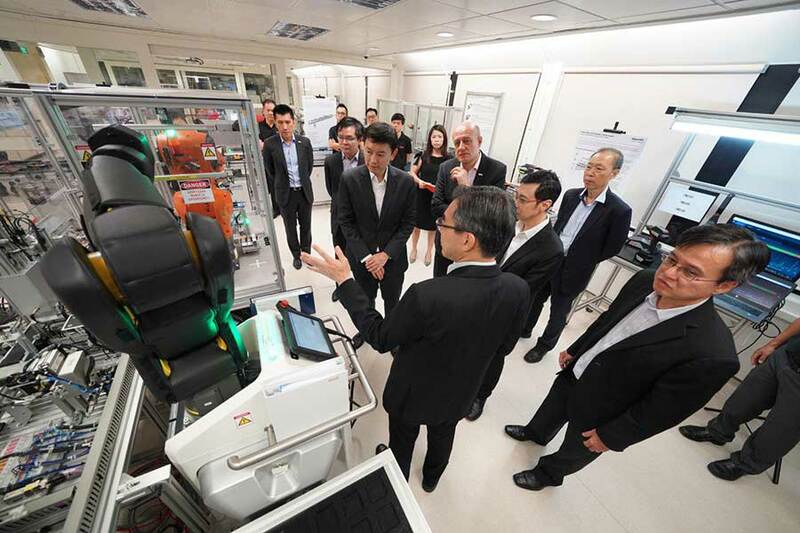 “In a new environment of constant technological disruption, our graduates will need to learn how to learn while acquiring deep skills, so as to become life-long learners to stay ahead of the curve,” said Soh Wai Wah, Principal and CEO, Singapore Polytechnic. The MoU will also see the development of these initiatives between Bosch and SP over the next five years, and the exploration of more avenues for collaboration. This includes the Enhanced Internship Programme at Bosch for SP’s students, to help them gain industry-related skillsets and experience.